have completed at least 3 semester or 5 quarters of college course work. 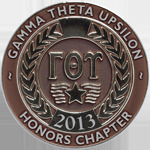 Gamma Theta Upsilon membership is earned through superior scholarship; it is an honor, and a professional distinction. Members receive a handsome certificate, suitable for framing. No further membership dues are paid to the national organization after the initiation fee. Members can participate in numerous extra-curricular activities. Membership provides a network where you can become better acquainted with other geography students and can meet and talk with geography faculty informally. Members can improve their expertise in the field of geography by learning things not normally dealt with in the classroom. Members are eligible to apply for Gamma Theta Upsilon scholarships. 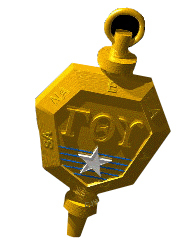 For Membership Information: Ask your local chapter officers or GTU faculty advisor for information on membership procedures, and the many benefits of joining Gamma Theta Upsilon. GTU scholarship recipient, Alysha Alloway ’17 recently shared her words of gratitude in the GTU Newsletter (March 2018): I want to thank GTU for awarding me the Rechlin Scholarship and allowing me to start my graduate studies [at the University of Minnesota] without added financial stress. With my scholarship money I was able to purchase a computer that could support my academic work as well as other school materials, and for that I am incredibly grateful! Beyond how the scholarship helped me materially, I am honored to be recognized by the organization that helped me shape my undergraduate experience and passion for geography. I cannot thank GTU enough for not only supporting my education but for also supporting the broader geography community and helping future geographers realize their goals.